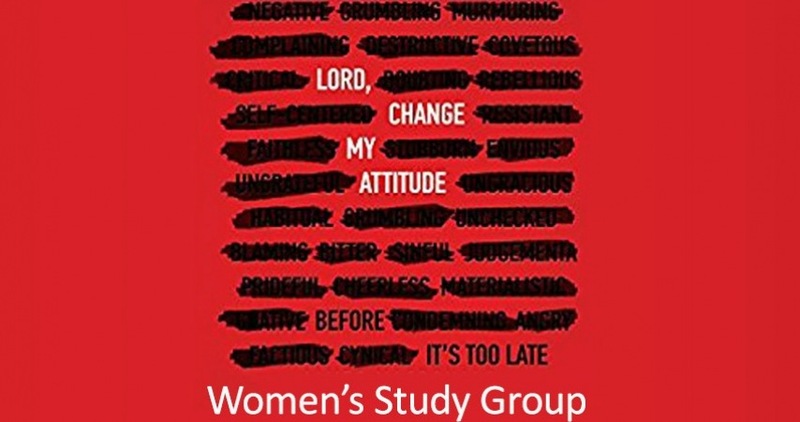 The Lord, Change My Attitude women’s study group will begin on Sept. 13th and will meet for 11 weeks on Wednesday mornings from 9:30 a.m. -11 a.m. (This group will not meet on Nov. 22nd.) The study will focus on freeing ourselves from the negativity that erodes happiness. While patterns of thinking won’t change overnight, you will learn how to recognize wrong attitudes and work on replacing them with the right ones. Through the Lord, Change My Attitude study, learn how to identify the attitudes of the heart that need to change in order for God’s abundance to flow in your life! Homework: 30 minutes per day, 5 days a week. This group has a maximum of 25 participants. Please notify us if you register for this group but your plans change and you are not able to attend. Email groups@horizoncc.com or call Carol Dunham at 513-272-5800 ext. 244. To register for this group, click on the button below and fill out the form.